What Does this Mean for Restaurant Owners? 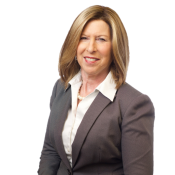 Stacy L. Gilbert is an audit and tax partner at Citrin Cooperman with over 30 years of expertise providing tax, accounting, business and forensic valuation services. She is focused in the restaurant and hospitality industries, serving as a co-leader of the firm's Restaurant and Hospitality Practice and specializing in business consulting services.